Black & white Herringbone patterned floor rug. Perfect for the living room, bedroom or hallway in a style to suit rustic and modern home decors. 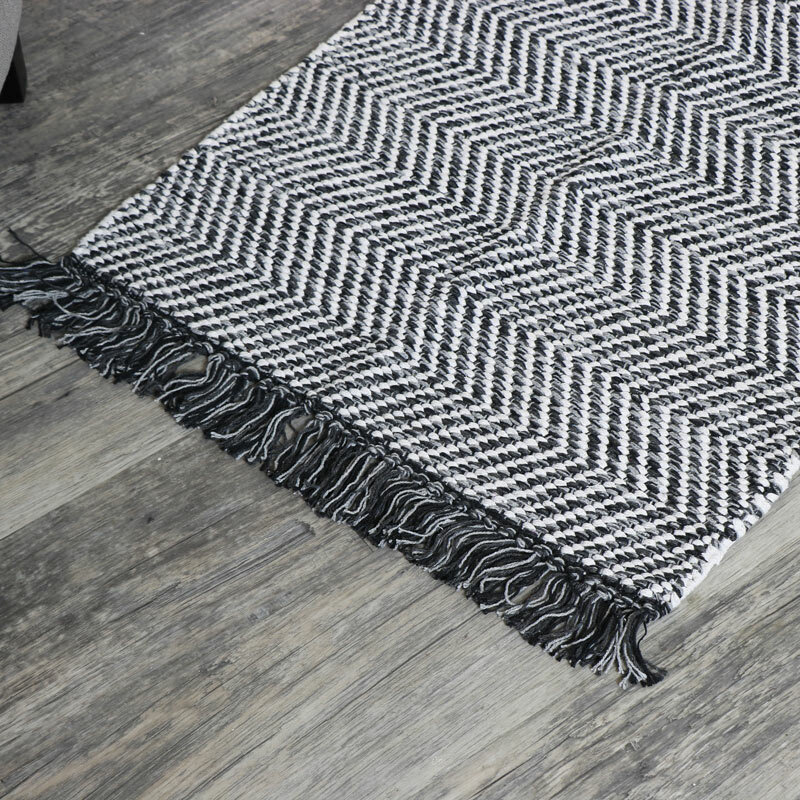 Classic Herringbone design with black & white fringing on the ends of the rug. 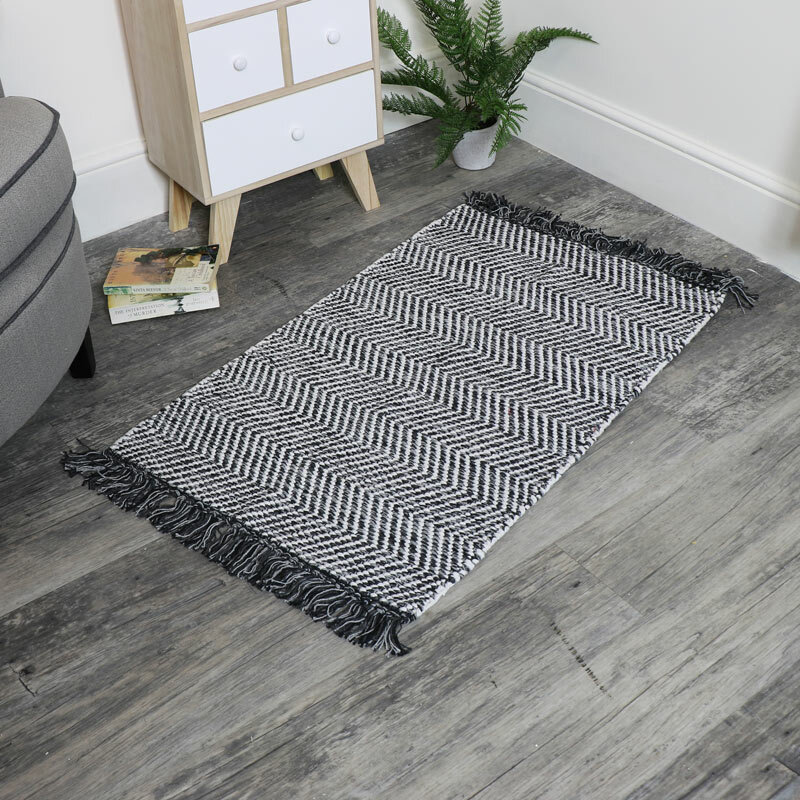 Woven from a soft cotton for an inviting home accessory with even more sizes to choose from and a great addition to our selection of rugs and throws. Adding a complementary look to any home interior.